How would you rate your small business’s online presence? If it falls into the ‘non-existent,’ or ‘needs improvement’ categories then I have a special treat for you today. Recently I spoke with Soo Young Kim, the Head of Small Business Outreach at Google, whose job it is to help business get online and reach their customers. In our interview, she shared advice on how small businesses can beef up their online presence. Even better, there is a FREE Google tool you can use for each of her tips! Customers are most likely to seek out your business when they have a problem or pain point that needs solving immediately or in the near future. And how will they do that? Increasingly these searches are performed on a mobile device since our phones are pretty much always within arm’s reach. Soo shared the statistic that 87 percent of smartphone users turn to search in their moments of need. This is especially true for local businesses, where a customer may have a need suddenly pop up and they can use Google Search and Maps to find relevant businesses nearby. Because of this, the first thing you should do is to make sure your business shows up in searches. You can do this using the free product Google My Business which allows you to put location, hours of operation, phone numbers, photos and even 360-degree image captures of the interior of your store. 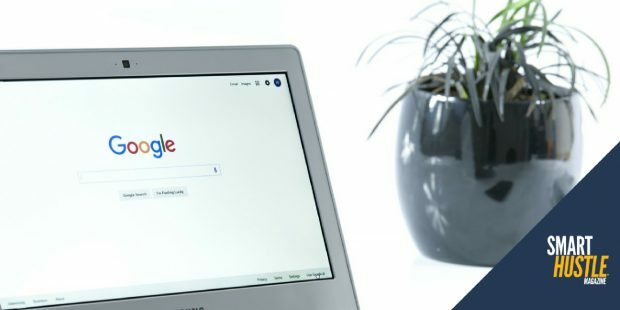 Since search results with more information are viewed as more reputable, you should fill out everything you possibly can and revisit periodically to confirm that everything is up-to-date. Now think about that moment when the customer wants to find more information about your business. They will likely turn to your website, and (with that smartphone in hand) they will probably access your site using a mobile device. Research indicates that 53 percent of people will wait no longer than three seconds before they abandon a website, and this is especially true for mobile queries. As such, you must ensure that your website is performing well for mobile users, and you can do this with the free Test My Site Google tool. Enter your website, and they will analyze how your website performs on mobile then email a list of specific recommendations to make the site better. Follow the recommendations yourself or discuss them with your webmaster. These changes will improve site loading time, and you should also review your site to confirm that the most relevant information for visitors is quick and easy to find. Mobile visitors have come to expect speed and ease; if you cannot provide it for them, they will go elsewhere. Improve your #smallbiz #online presence with 4 free tools from @Google! Once customers and prospects are navigating your website, take the time to learn more about them. Using the free tool Google Analytics, you can understand who your visitors are (demographics, where they’re coming from, if they are mobile/desktop, etc.) and how they are interacting with your site (what pages they are visiting, how much time they spend there, etc.). This information can be used to improve your website, create new and better products, and to know exactly whom to target with your marketing efforts and ad dollars. As Soo rightly notes in the interview, “It’s becoming an increasingly connected world, and people are using mobile devices more and more.” Let the free tools above assist you in improving your online presence, and when in doubt, invest in your business by hiring an expert.